But Suppose We're Not GREAT Again? So what happens if Mr. T doesn't make good on his promise to make America great again? (Scoff!) First of all, how dare you even entertain such a thought? But! … Since you're thinking on it … (Sigh.) We make plans. We break promises. In this life, one should always have Plan A and Plan B. Broken promise? No worries. Don't know about the other states. But in Texas, we can secede from the Union and become our own country. It's not a big deal. We've had six flags waving over us already. What's a 7th flag? 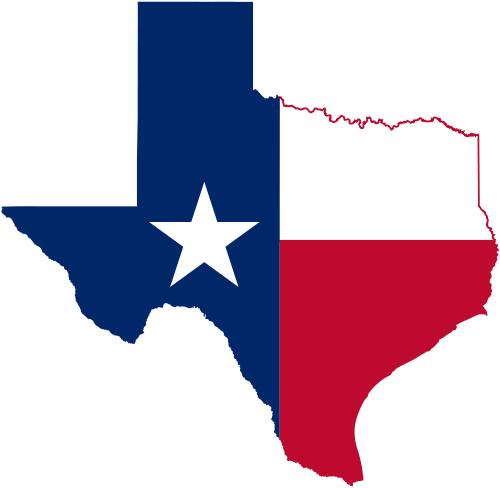 * * * "Six flags over Texas" is the slogan used to describe the six countries that have had sovereignty over some or all of the current territory of the U.S. state of Texas: Spain (1519–1685; 1690–1821), France (1685–1690), Mexico (1821–1836), the Republic of Texas (1836–1845), the Confederate States of America (1861–1865), and the United States of America (1845–1861; 1865–present). I think Texas would be just fine if it seceded from the USA. The state should give it a go and see how things shape up. It's important and imperative that we, as Americans, think positive, keep our sense of humor, give serious thought to possible “worse case scenarios”, be prepared to bounce back from the worse, but wake up each day hoping for the best!! That's my attitude. It's not an attitude I developed just because Trump got elected. It's been that way since I was old enough to realize that what happens in our nation's capital, does not stay there! (Been thinking like that for about 4 decades.) The impact of decisions made by our leaders on daily domestic life and on international relations can be drastic. But we have to believe! We have to believe in US.